We hope everyone had an amazing Independence Day this year. We were lucky to have some of the most amazing weather for the fourth with calm water and bright sunny skies. Mother Nature also gave us the best light show we could ever hope for with a beautiful sunset. All of us at Treetown Boards hope you had an enjoyable holiday and we hope to see you this coming weekend in Muskegon at Stand Up For the Cure. Posted on July 5, 2016 by Treetown Boards and tagged #treetownboards Stand Up Paddle Michigan SUP Michigan. We enjoyed a late day fog paddle at Empire Beach. It was rather spooky leaving the beach as the fog had not burned off yet. But once the wind picked up and the sun came out we were greeted by the sand dunes of Sleeping Bear Dunes on either side of the beach. One of our absolute favorite spots for paddling in Michigan. Posted on July 21, 2015 by Treetown Boards and tagged SUP Michigan Stand Up Paddle Michigan Stand Up Paddleboard Michigan Pure Michigan. With miles of pristine sand beaches there is no end to places you can paddle here. We really liked Platte Bay as you could look both ways down the beach and not see another person for miles. We were even lucky to catch a downwinder back, nothing like catching some bumps to enjoy the day paddling on the big lake. Posted on July 21, 2015 by Treetown Boards and tagged SUP Michigan Stand Up Paddle Michigan SUP Ann Arbor Pure Michigan Sleeping Bear Dunes Jimmy Lewis. Yet another amazing park for paddling. You could paddle the small lakes or float the river with your board. We chose the Big Lake and a 3.2 mile round trip paddle to the lighthouse. Highly recommend the Pines campground here. Great facility with the dunes leading to Lake Michigan right behind the campground. 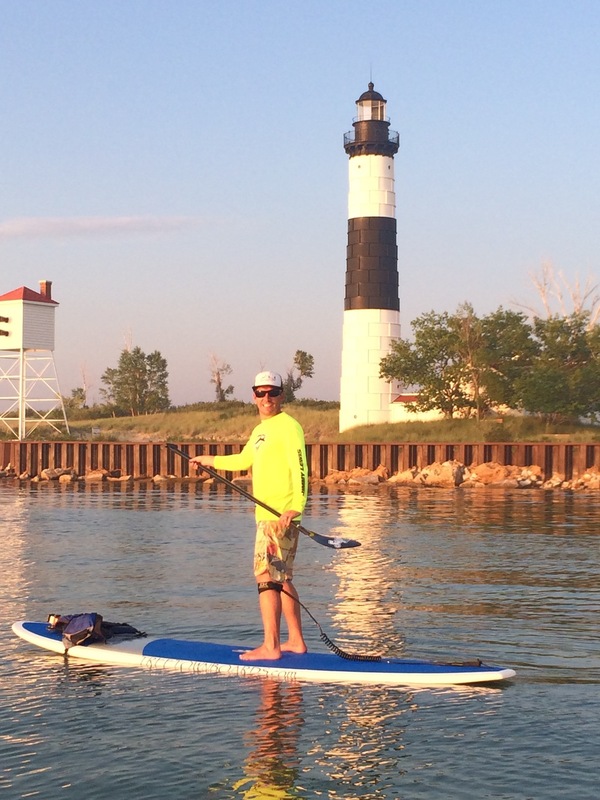 Posted on July 17, 2015 by Treetown Boards and tagged Sup Ludington Stand Up Paddleboard Michigan Stand Up Paddle Michigan Stand Up Paddle Board Ann Arbor SUP Michigan SUP Ann Arbor. We have been lucky to have some amazing sunset paddles. We highly recommend Muskegn State Park with its beautiful sand beach. Posted on July 17, 2015 by Treetown Boards and tagged SUP Michigan Stand Up Paddle Board Ann Arbor Jimmy Lewis SUP Ann Arbor Stand Up Paddle Michigan Stand Up Paddleboard Michigan Sup Muskegon. SUFTC event was a huge success. Thank you to all our customers, supporters, and fellow paddlers we met at the event. Posted on July 16, 2015 by Treetown Boards and tagged Stand Up Paddleboard Michigan Stand Up For The Cure SUP Ann Arbor Jimmy Lewis SUP Michigan Stand Up Paddle Michigan Stand Up Paddle Board Ann Arbor. Custom 11'2" SUP under construction. Posted on July 8, 2015 by Treetown Boards and tagged SUP Michigan SUP Ann Arbor Stand Up Paddle Michigan Stand Up Paddle Board Ann Arbor.